German Talmudist; born in the beginning of the eighteenth century at Frankfort-on-the-Main; died 1782 at Mayence. 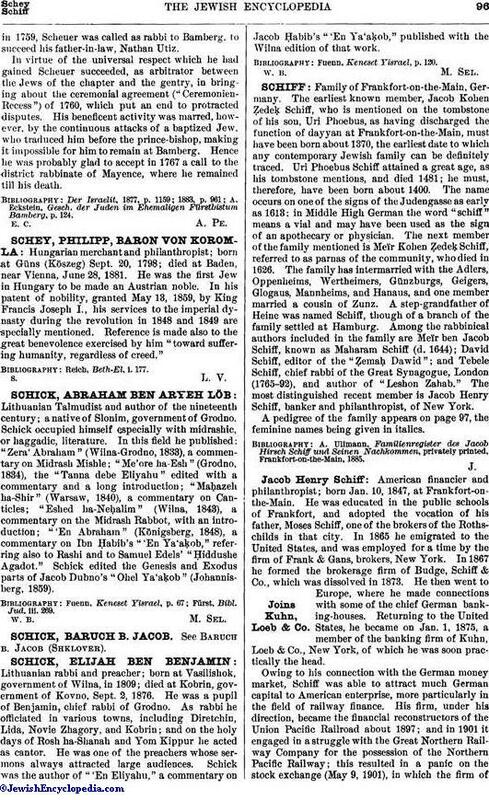 Scheuer came of one of the old Frankfort families which adopted as family names those by which the houses they owned were known. 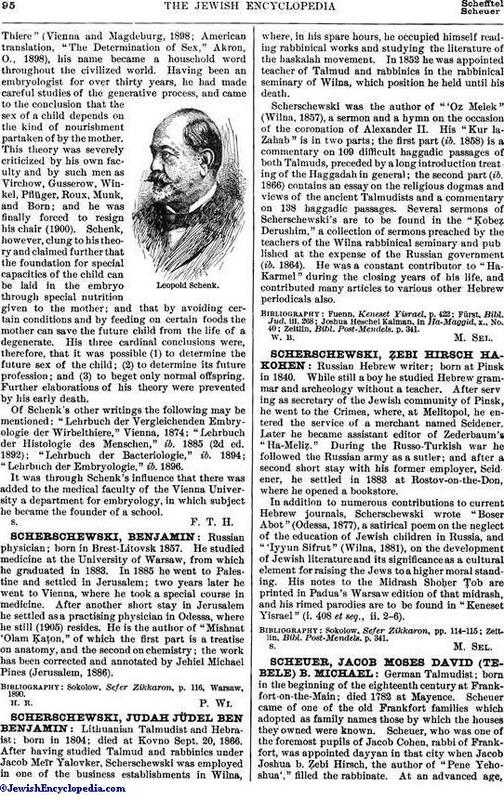 Scheuer, who was one of the foremost pupils of Jacob Cohen, rabbi of Frankfort, was appointed dayyan in that city when Jacob Joshua b. Ẓebi Hirsch, the author of "Pene Yehoshua'," filled the rabbinate. At an advanced age,in 1759, Scheuer was called as rabbi to Bamberg, to succeed his father-in-law, Nathan Utiz. In virtue of the universal respect which he had gained Scheuer succeeded, as arbitrator between the Jews of the chapter and the gentry, in bringing about the ceremonial agreement ("Ceremonien-Recess") of 1760, which put an end to protracted disputes. His beneficent activity was marred, however, by the continuous attacks of a baptized Jew, who traduced him before the prince-bishop, making it impossible for him to remain at Bamberg. Hence he was probably glad to accept in 1767 a call to the district rabbinate of Mayence, where he remained till his death. A. Eckstein, Gesch. der Juden im Ehemaligen Fürstbistum Bamberg, p. 124.